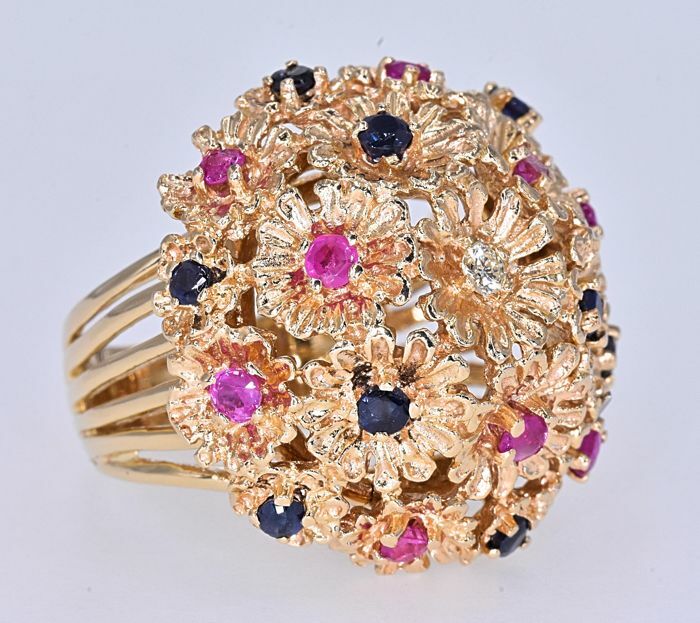 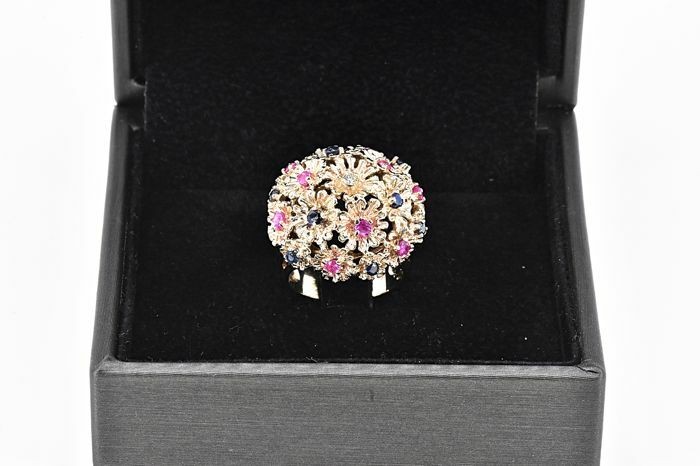 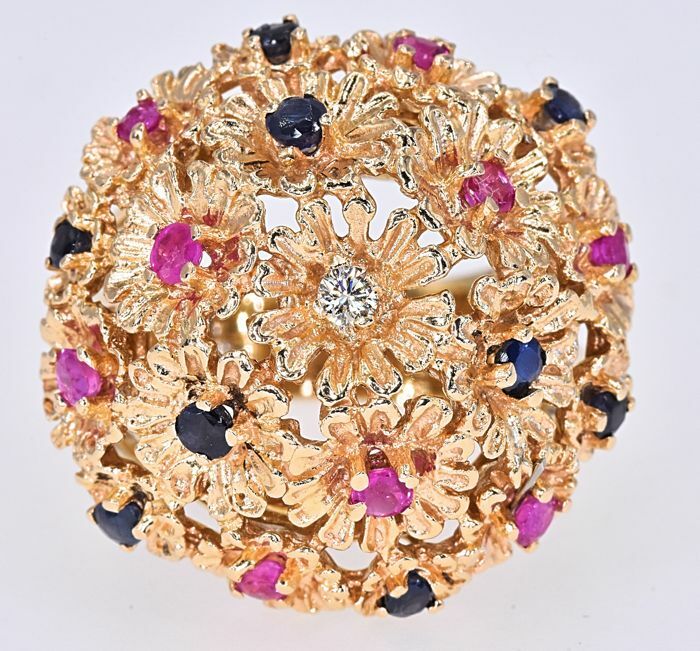 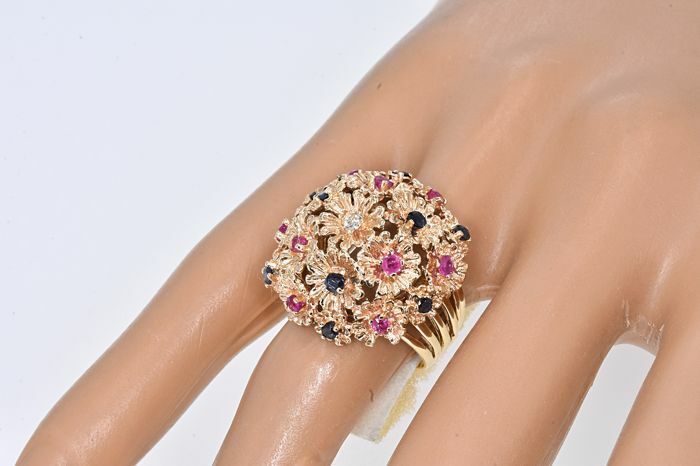 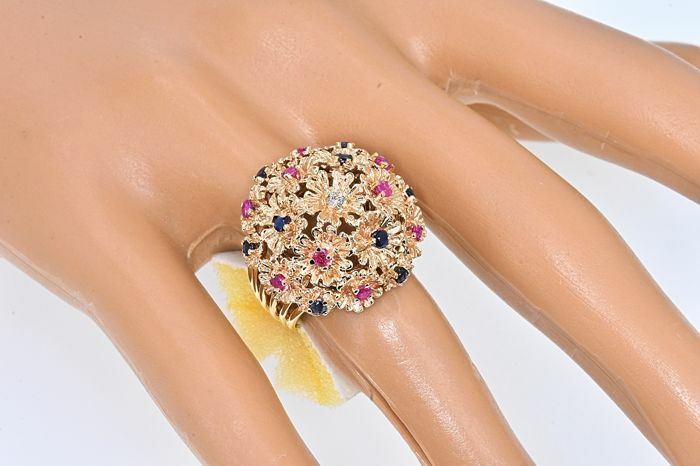 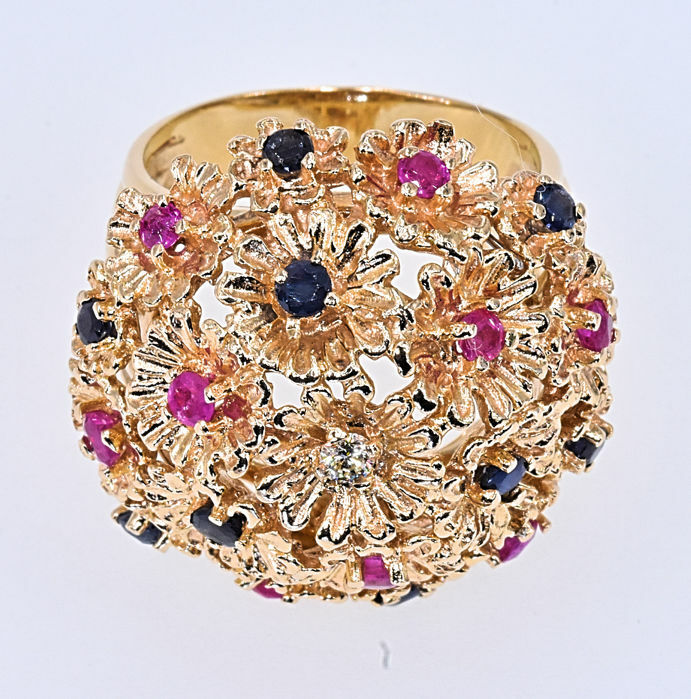 14 kt yellow gold ring with total of 1.03 Ct of Rubies, Sapphires, and one Diamond. 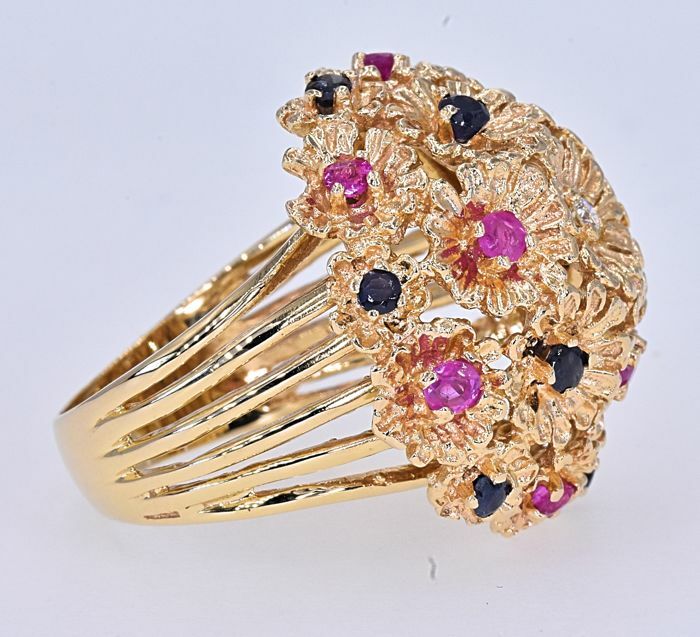 These stones are prong/channel set. 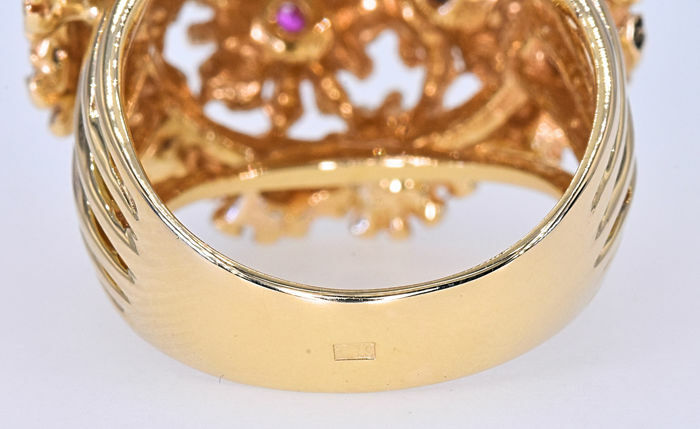 14 kt yellow gold, stamped: 10.6 g.
Size: 11. 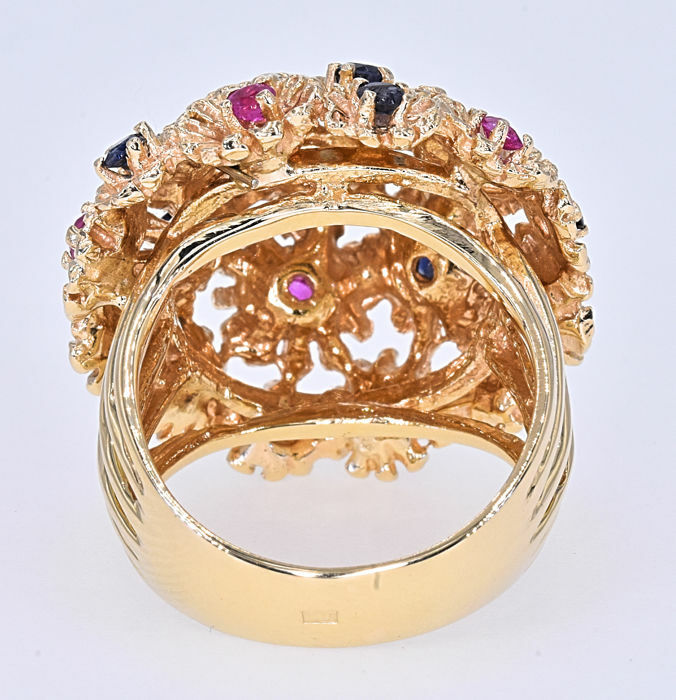 Inside diameter: 16.3 mm. 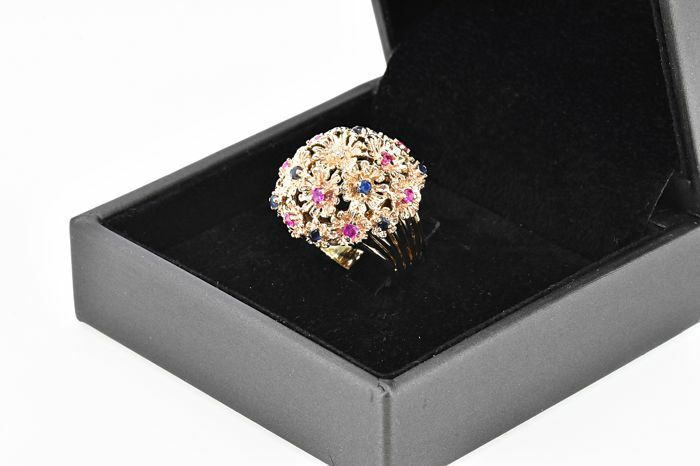 Is sent with a certificate, rated by an official member of RapNet, the reliable platform of international diamond traders.